When you picture the French Riviera it's probably vivid, clear waters and blissful beaches that come to mind, right? This Riviera experience could be all yours if you choose La Baie des Anges for your next holiday. 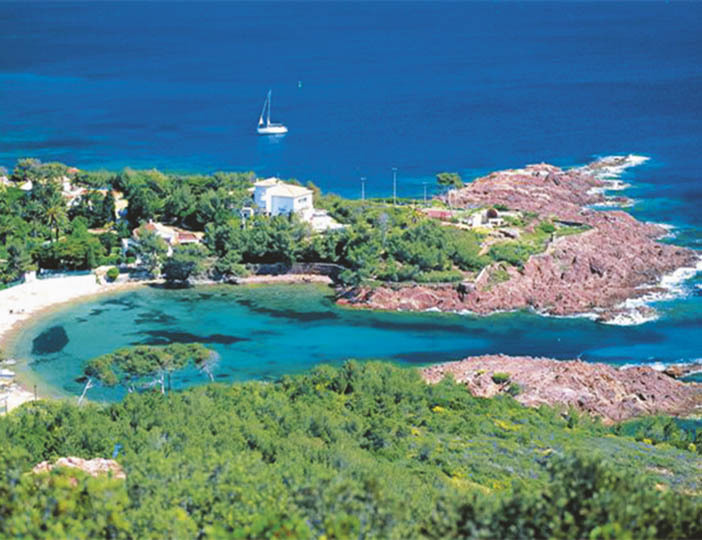 Meaning the Bay of Angels, this seaside parc is surrounded by 25 acres of pine trees and olive groves, just 3 km from Lecques beach. In between trips to the sea, you'll find lots to keep you occupied on site like a water park with mushroom sprinklers, a double slide and paddling pool. There is a great range of eating options too: a bar, restaurant, pizzeria and a cake shop (our personal favourite!). It won't be long before the French coast draws you back for more sunbathing, swimming or even to explore the incredible Calanques - spectacular limestone cliffs filled with secret coves.